Bill had four spells with the Saints. Whilst at Clarence Park Bill helped the Saints win the Herts Senior Cup in 1951 and the Herts Charity Cup in against Barnet in the same year. 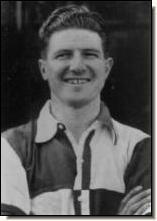 Bill represented the Herts F.A. whilst with City on six occasions. Bill also played for York City (whilst serving in the army), Watford and a long and successful playing career at Sutton United.